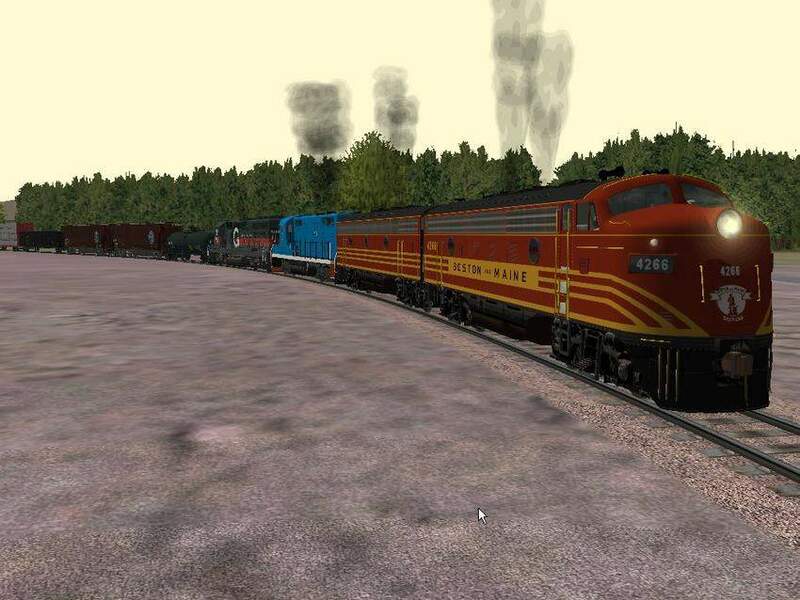 If it wan't for Microsoft Train Simulator and the many, many fine folks who design add on files to the game, I would have never gotten onto trains. Witness a neat, yet unlikely, motive power consist. Here you see B&M F7A 4266, with B unit, leading B&M GP7 #1560 and MEC, Guilford GP40 Highnose #377 at the Sandpoint, Idaho yard, formerly owned by the Great Northern, now operated by the BNSF. Unknown photographer May 4, 2004. Added to the photo archive by Dave Ricard, May 4, 2004.